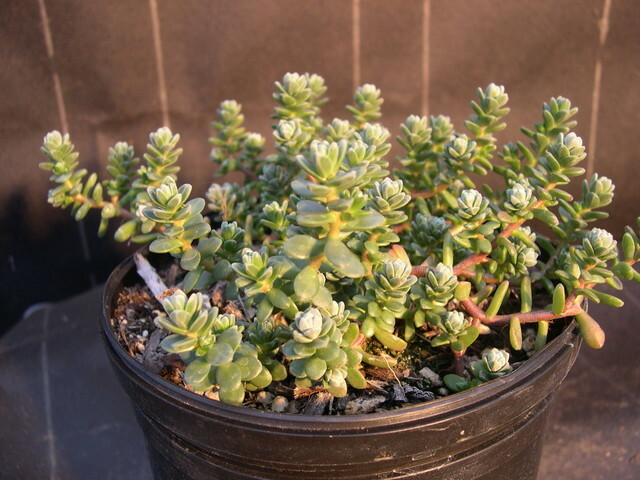 As I have found out first hand, this Mexican species is often mislabeled Sedum australe. Purple creeping stems are 3" long with clusters of whitish flattened leaves at the ends. Scattered star-shaped flowers are yellow From May to June. From high altitudes in Mexico and is considered somewhat hardy.